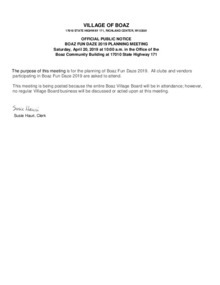 Regular meetings of the Boaz Village Board typically take place the second Tuesday of the month at 6:00 p.m. in the Boaz Community Building office. 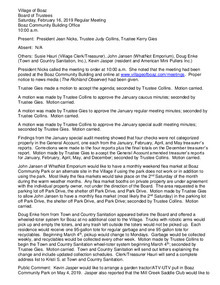 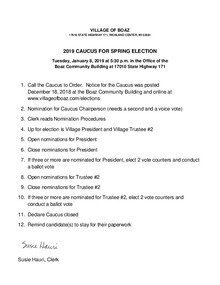 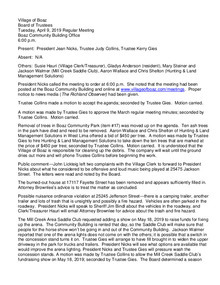 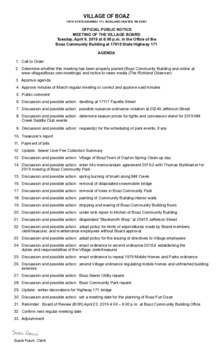 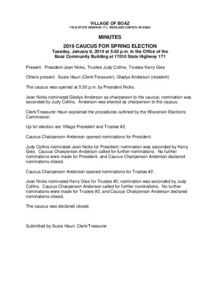 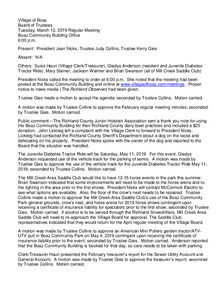 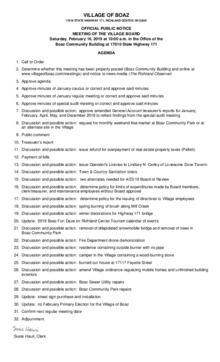 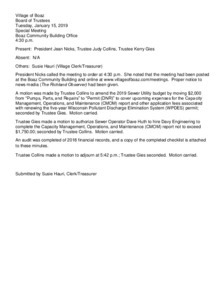 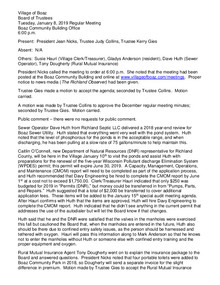 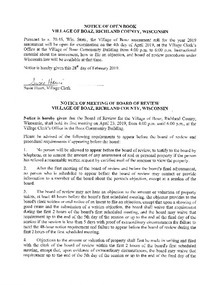 To participate in public comment at a Village Board meeting, please contact the Village President or Clerk. 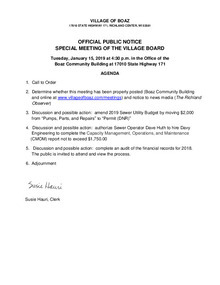 The 4-9-19 regular meeting minutes will be approved (or amended and approved) at the May 2019 regular meeting of the Boaz Village Board. 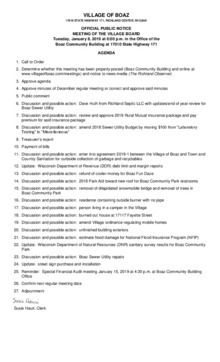 For 2018 meetings, click here. 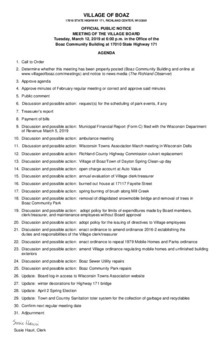 For 2017 meetings, click here.